Palm Beach Torreblanca is located in a Private community in an excellent location featuring panoramic sea and mountain views. This location cannot be beaten with its excellent views and beaches; peaceful and quiet, but still within walking distance to all conveniences. Step outside the complex and the area is bustling with life and colour. This is one of the rare opportunities on the Costa del Sol to purchase a brand new luxury home in an established popular area, with all the conveniences and high standards expected for modern living. 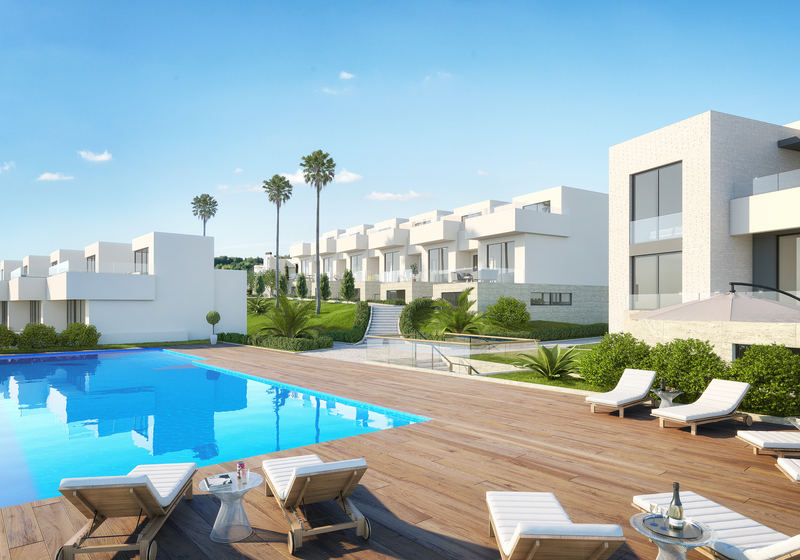 Palm Beach Torreblanca is an exciting new development of 14 modern, contemporary townhouses and 3 independent villas. 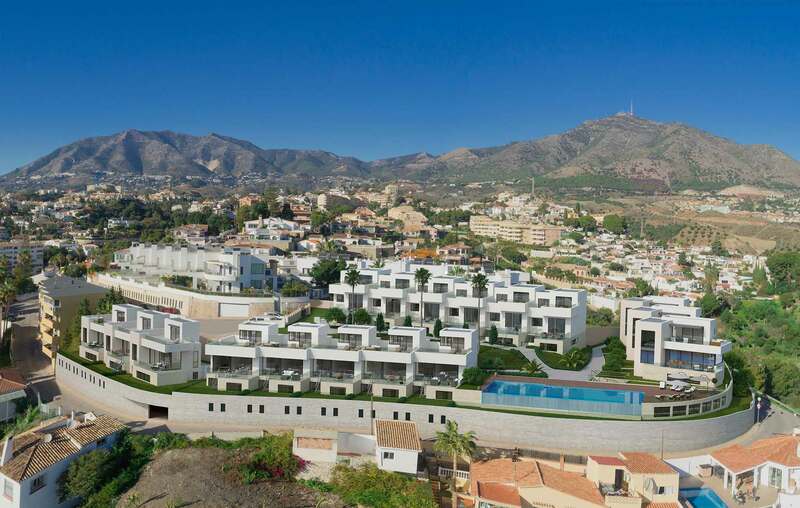 This is one of a few new build projects in Torreblanca, with easy walking distance to everything – including the beautiful beaches of Torreblanca and Fuengirola. All houses will have panoramic sea and mountain views. Offering 3-5 bedrooms, these stylish residences are set within a plot of 4.600 sqm. which includes tropical landscaped gardens, a large heated infinity pool, sun deck and gymnasium onsite. 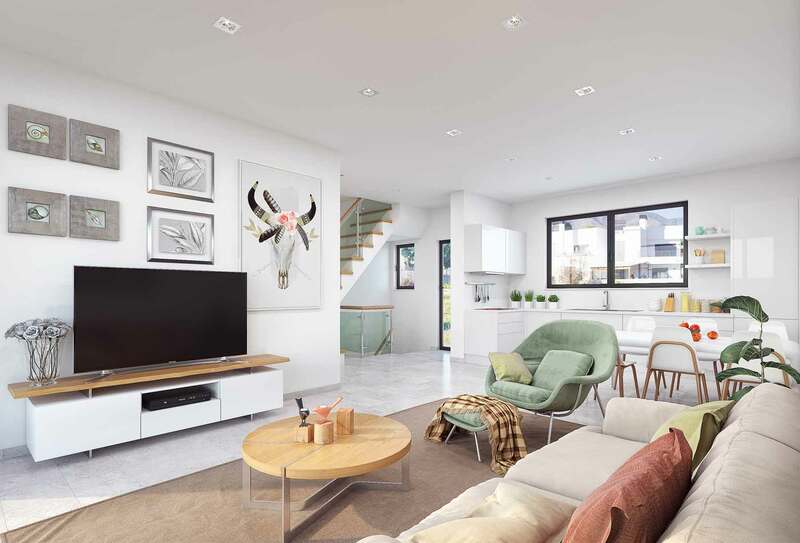 Constructed on 3 levels they include a large open plan living area, fully fitted kitchen, and seamless access with floor to ceiling windows to an outside terrace and a private garden area. Every detail has been considered by our architects to ensure comfort, convenience and space. Only top quality materials and state-of –the-art architectural techniques and interior design solutions have been used to deliver an enhanced lifestyle experience. Each of these contemporary properties benefits from the very latest hot and cold air conditioning system, ensuring that temperature control and domestic water is both economical and adherent to the strict energy requirements of today`s modern construction. There will be underfloor heating in all bathrooms.